Sundown Adventureland is an adventure theme park especially for under 10’s. 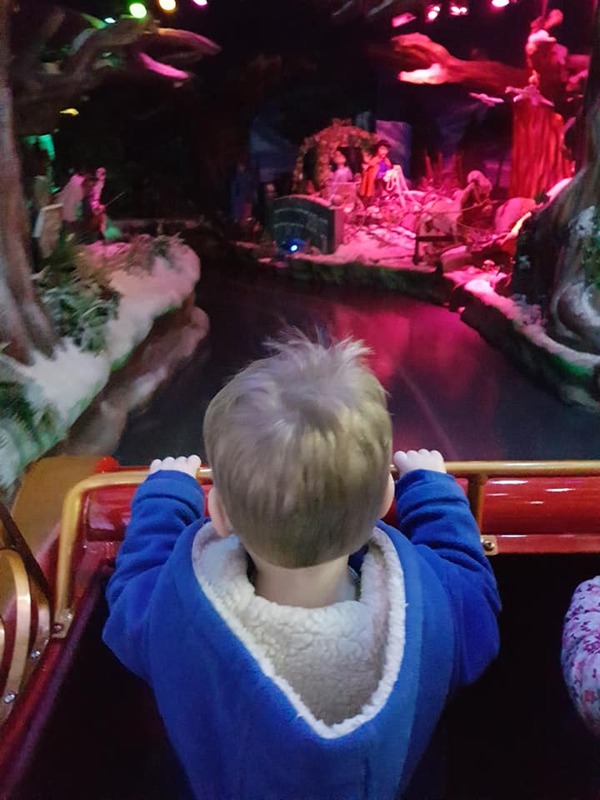 It’s very popular with families who have toddlers especially because all the rides have no age restrictions and can be rode by all the family. 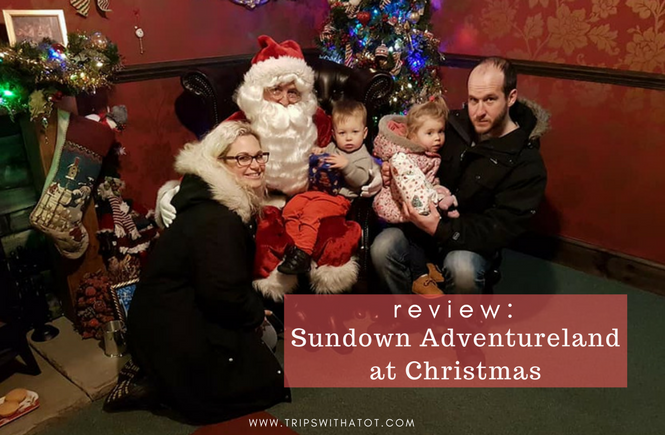 Sundown Adventureland can be found in Rampton, Retford DN22 0HX. 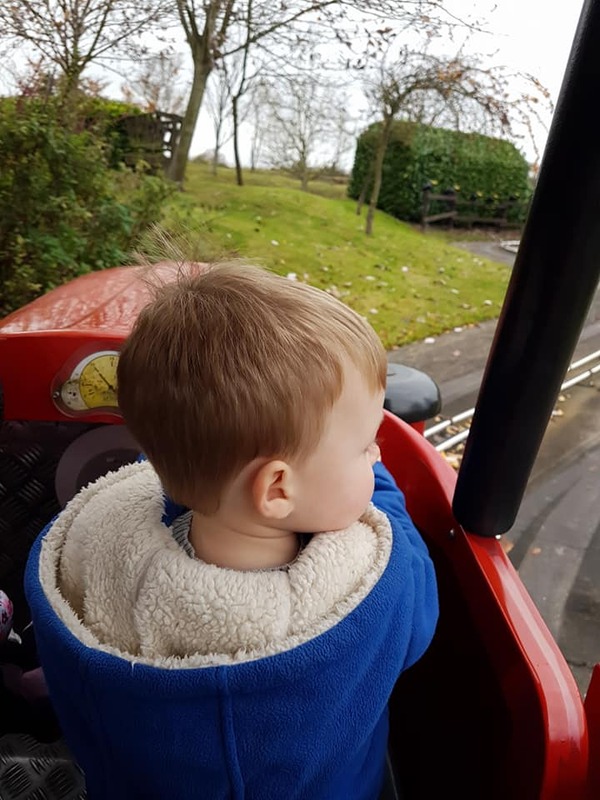 The park has loads to do for little kids with children’s themed rides and attractions, play areas, seasonal events, themed areas and tons of toddler fun! 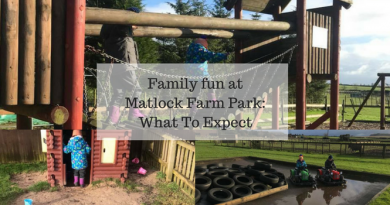 Prices for adults and children over 90cm start at £16 and children under 90cm are free. “Wow. What a fantastic fun day we had today at Sundown. We arrived at 11am. There were only around 10 other cars in the car park at this time. Initially, I thought something was wrong. I expected some serious crowds. Sure enough, we rocked up to the pay desk, showed our pre-pay number with no issues. We arrived only just before our prebooked time with Santa so just did a quick nappy change and headed over. We were the only ones there. It was a quick ride through a winter fairytale land and then, when we got off, we were at Santa’s front door. 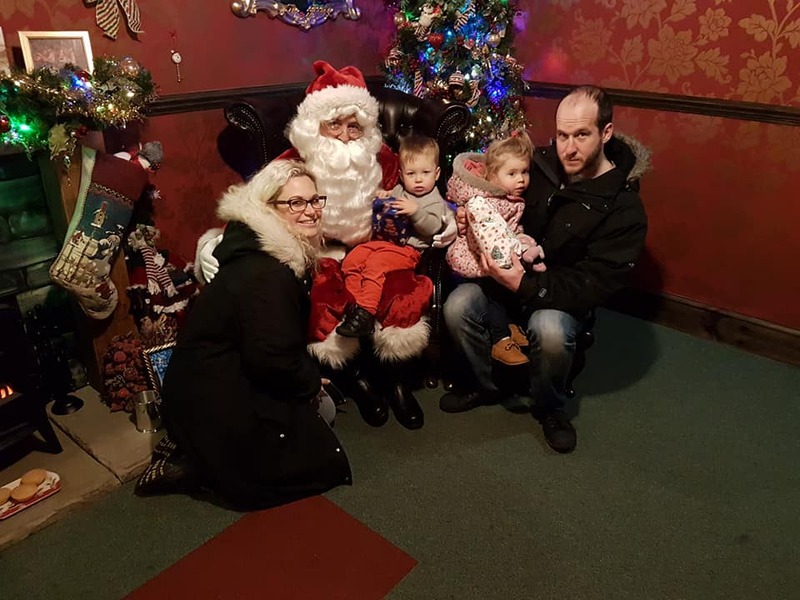 It was such a special, lovely way to get to Santa. We were told by an elf to knock on the door when Mrs Claus opened it to greet us. 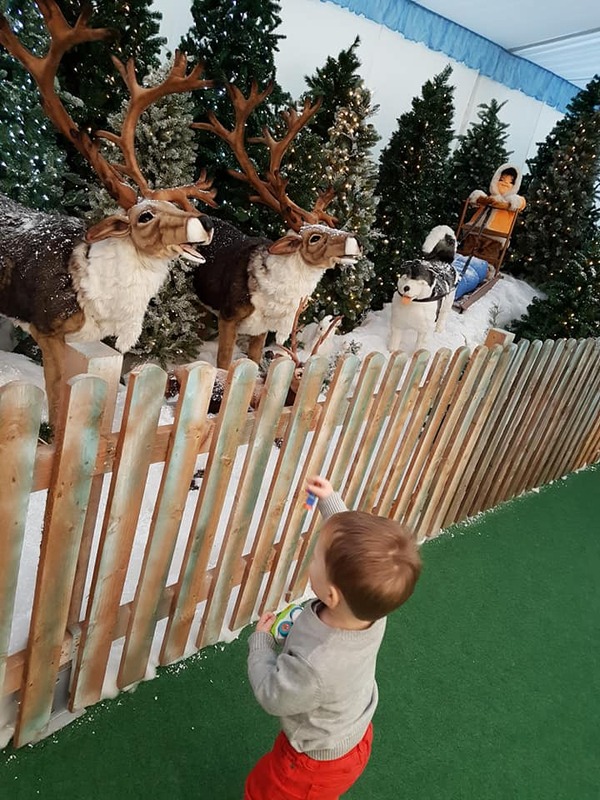 My little guy ran straight up to Santa and was super excited to sit on his knee which made for an amazing interaction. 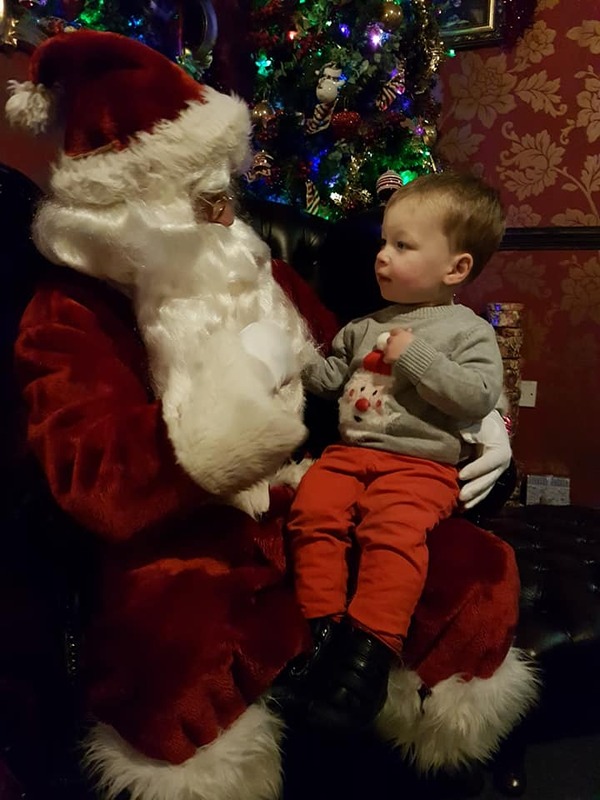 Santa asked his name, age and talked for ages with him. Another elf brought him a present to the room – which, by the way, was wonderfully decorated – and gave it to Santa to pass on. 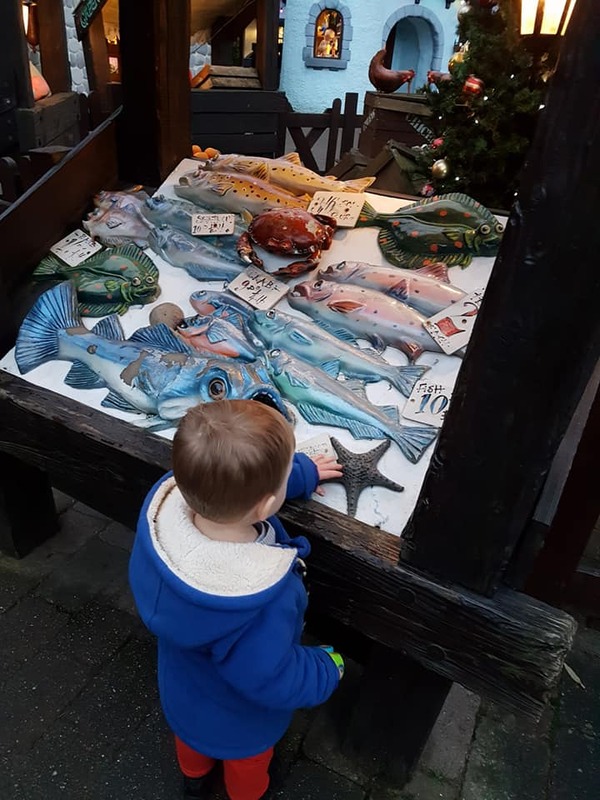 My little guy thought it was great and kept thanking Santa. 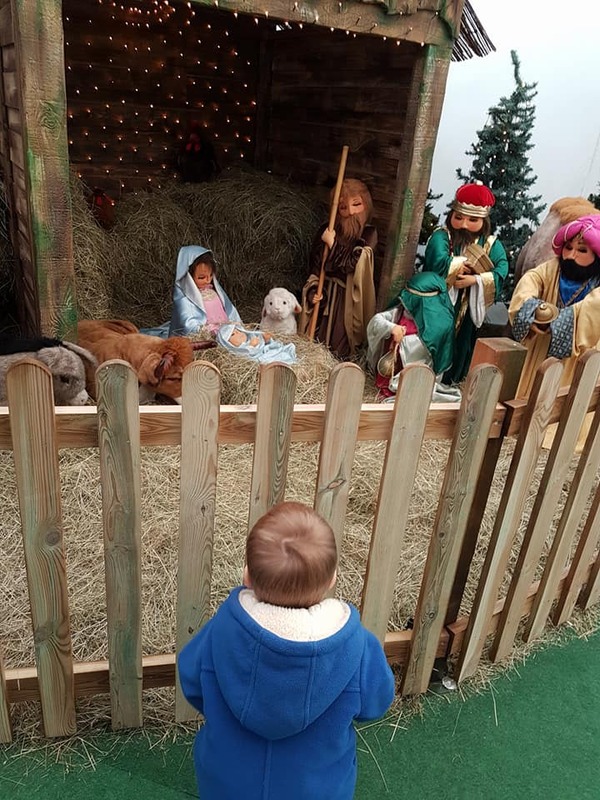 After photos, we headed out and went to see Santa’s garden where his reindeer, other animals and a nativity were set up. That was lovely to look around and again, we weren’t rushed at all. After that we went on the nearby Santa Sleigh ride, which was sweet and drove you through the North Pole and Santa’s house. 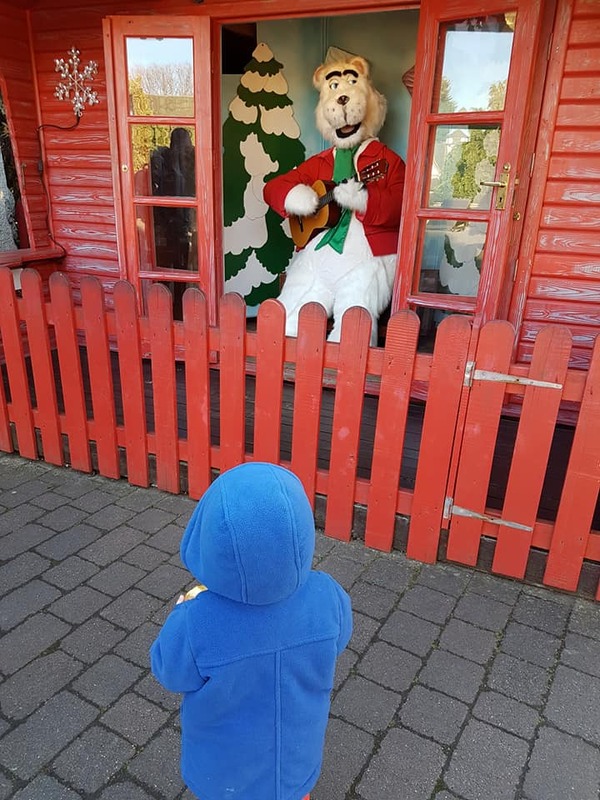 My little one was still shouting Thank you at the animatronic Santa here! We spent the rest of the day exploring. Rides were operating on a timetable due to it being midweek and low season but we never ran out of things to do and we kept staying on rides for multiple goes. 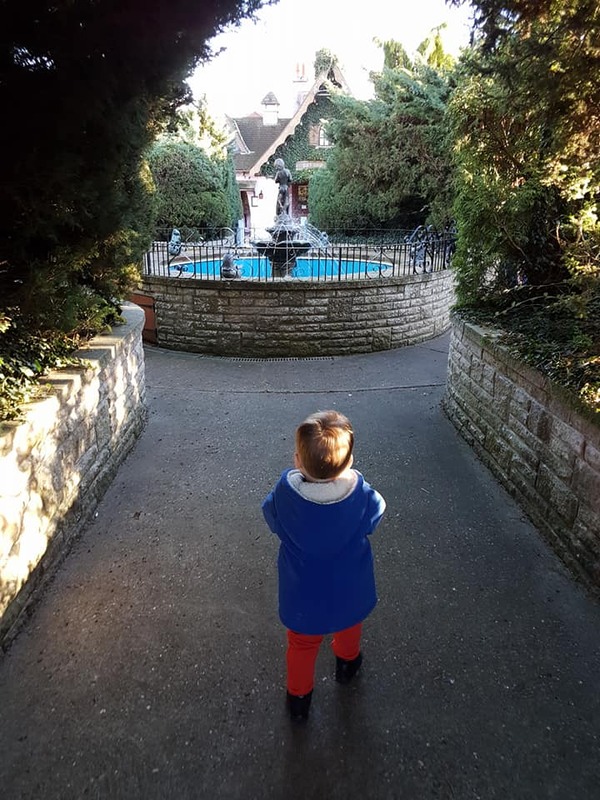 We also explored the little houses and playgrounds throughout the day. We ate dinner at the cafe inside the indoor play area. It was decent food, cheap, not a huge selection but enough. 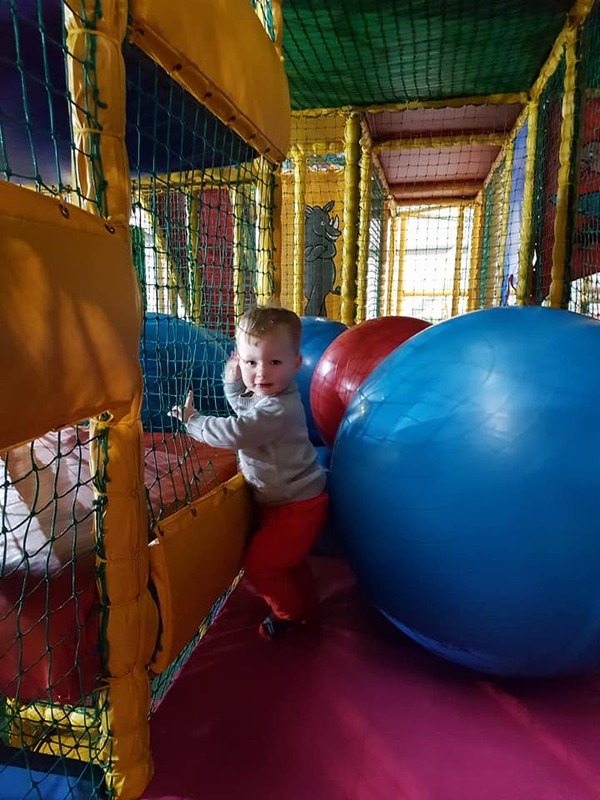 It was also useful with the indoor play bit because it had just started spitting outside so we missed the rain, played and had dinner all in one! I give a huge shout out to the staff. 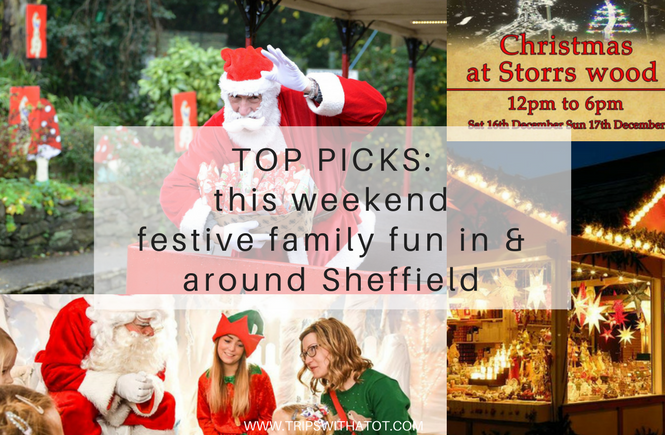 They’re all super friendly and cheerful – many singing and conversing with my 2 year old! Even more special shout out to ‘Santa’ who was also operating the tractor ride out of costume later on. He remembered my little guys name, talked to him, high fiver him and made a fuss. I was super impressed. Thanks Kirsty! I definitely want to go, it looks perfect for toddlers! 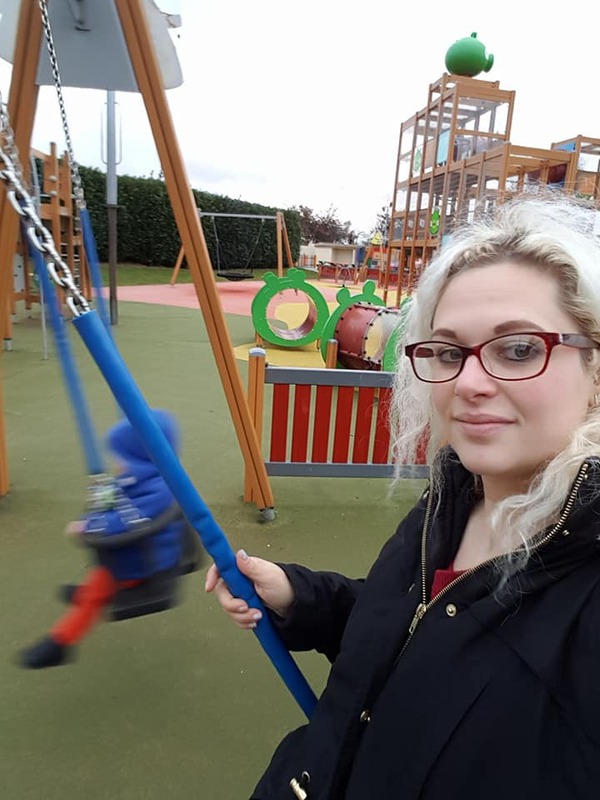 ← Trips With A Tot South Yorkshire For Kids Awards: Voting closed! 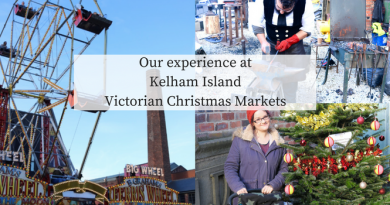 What is Kelham Island Victorian Christmas Fair like?